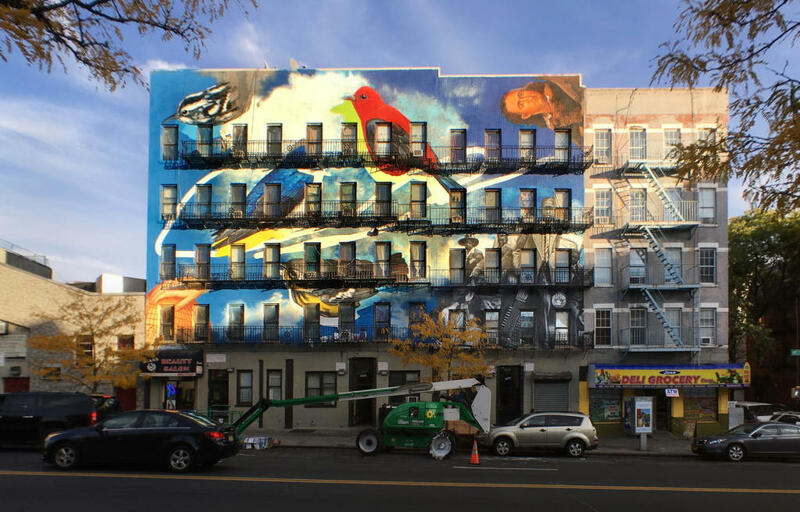 A peregrine falcon mural takes flight in Harlem in this time lapse video from the National Audubon Society. Bonus: A cameo appearance by Fab 5 Freddy. 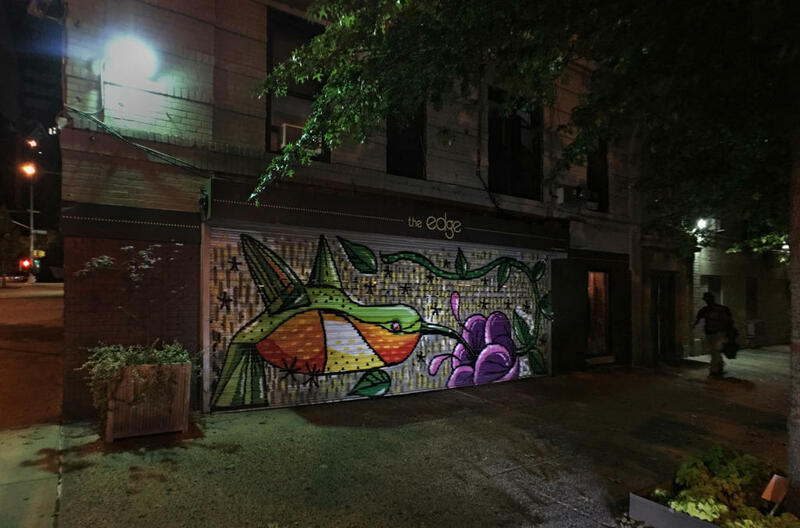 Street artist Damien Mitchell painted the formidable raptor in June of 2017 for The Audubon Mural Project. 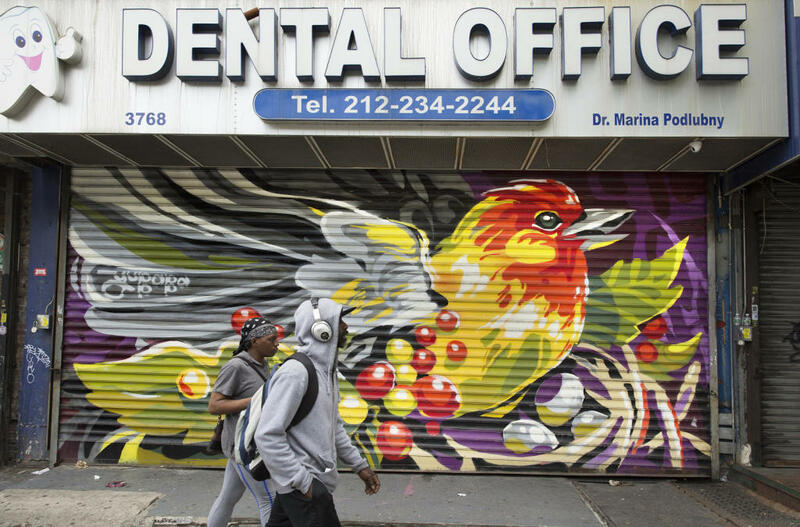 The Audubon Mural Project is a collaboration between the National Audubon Society and Gitler &____ Gallery to create murals of climate-threatened birds throughout John James Audubon‘s old Harlem‐based neighborhood in New York City. The project is inspired by the legacy of the great American bird artist and pioneering ornithologist and is energized by Audubon’s groundbreaking Birds and Climate Change Report, which reveals at least half of all North American bird species are threatened by a warming climate. 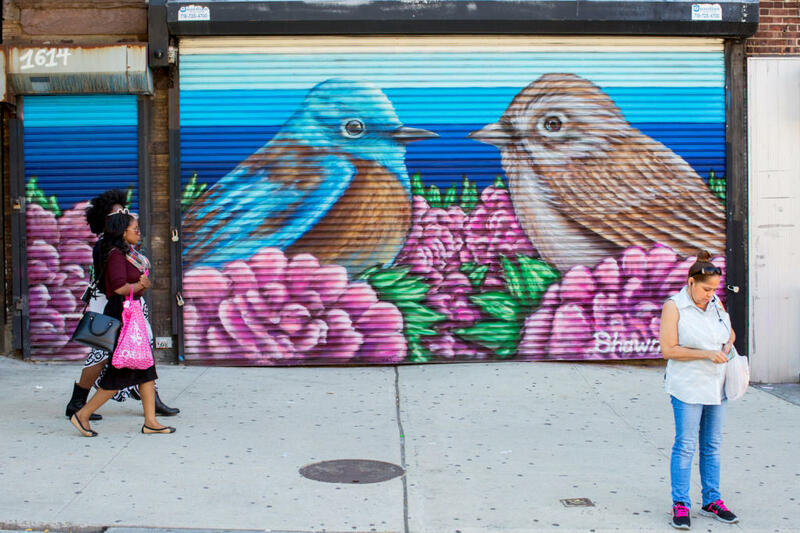 The project commissions artists to paint murals of each of the report’s 314 species. Western Tanager by Yu-baba. Photo by MikeFernandez/Audubon. Mural by Gaia. Photo by MikeFernandez/Audubon. Western Bluebird and Rufous-crowned Sparrow by Shawn Bullen. Photo by Hillary Eggers/Audubon. Allen’s Hummingbird by Socky. Photo by MikeFernandez/Audubon. 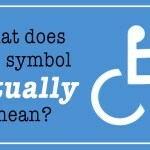 Check out (and map!) all of the murals painted so far at audubon.org/amp. Next: Why peregrine falcons are the fastest animals on earth and Illustrating the Cornell Lab of Ornithology’s Wall of Birds.